An overview and exploration of changes to the FLSA in ’16-17, including a discussion of the alteration to the white collar exemptions, a review of sales classifications, requirements for federal contractors under the FLSA, and trends in DOL’s enforcement of the FLSA. If you dread your audits or feel like your auditors rarely listen to your concerns or frustrations, it may be time to take a closer look at your process. Creating a more efficient process and enhancing communication, you and your auditors can work together to meet your financial reporting goals and requirements. The 2016 PMBA Annual Conference will take place in New Orleans, LA, May 31 – June 3. We invite you to join an elite group of public media professionals, including general managers, CFOs, financial and business executives, HR professionals and a broad array of supporting organizations at this outstanding educational and networking event. We’ll focus on strategy, sustainability, compliance, accounting, finance, and human resources issues. The 2016 PMBA Annual Conference will take place at the JW Marriott New Orleans. Located in the French Quarter, the hotel is just minutes from Bourbon Street, the French Market, Jackson Square, Insectarium, Harrah’s Casino and historic St. Charles Street. You’ll be able to experience the culture, music, food, art, and atmosphere that makes the Big Easy one of the most unique cities in the world.Visit the 2016 Annual Conference Website. Online registration for the 2016 PMBA Annual Conference closes on Wednesday, May 18 at 11:59pm. After this date, all registrations must be completed onsite and are subject to onsite registration fees. For more information visit the 2016 Annual Conference registration webpage. Start planning your stay in New Orleans now! PMBA's room block for at the Annual Conference often fills up, and fast. Once the room block is full, or after the cutoff date of May 13, rooms are subject to availability. All hotel accommodations are made directly with the hotel. Use the link below to secure your hotel room reservation.JW Marriott New Orleans614 Canal StreetNew Orleans, LA 70130(504) 525-6500Room Rates:Single/Double - $209 plus 13% tax and $2 city occupancy feeClick here to book your hotel room at the JW Marriott New Orleans. PMBA is seeking public media professionals and industry partners to fill open positions on the PMBA Board of Directors to help the association ensure the success and sustainability of public media. In this annual call for nominations, there are four open positions: two elected directors and two directors to be appointed by the board of directors. Each Board term available during this year's elections are for two years.All those interested in being considered for a position should complete the online. Nomination submissions must be received by PMBA no later than April 8, 11:59pm ET by fax at 703-506-3266, email to info@pmbaonline.org, online nomination, or by mail at 7918 Jones Branch Drive, Suite 300, McLean, VA. All nominations should be submitted online.For more information visit the Board of Directors 2016 Elections webpage. 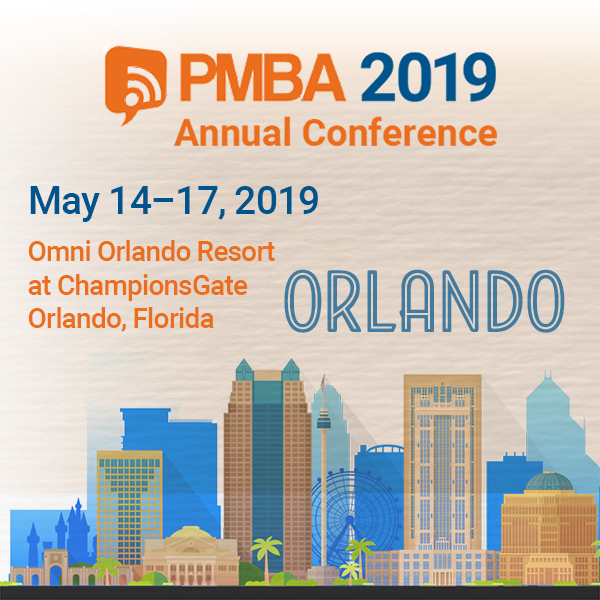 Sid Brown Scholarship for PMBA Annual ConferenceSince 1996 PMBA has offered the Sid Brown Scholarship, awarding the winner each year travel expenses (hotel and airfare not to exceed $1,000) to the Annual Conference as well as a complimentary registration. The scholarship honors the late Sid Brown, NPR’s Vice President for Finance and Administration, who died in 1994. Download the Call for Nominations.Email submissions to Caroline White, cwhite@pmbaonline.org, or fax to Caroline’s attention at 703-506-3266. PBS Scholarship for PMBA Annual ConferenceFor this first time, PBS will be offering one full PBS Scholarship and three partial scholarships. In this inaugural year, the recipient of the full scholarship will receive travel expenses (hotel and airfare not to exceed $1,200) to the Annual Conference as well as a complimentary registration. Three recipients will receive a complimentary conference registration. Download the PBS Call for Nominations.Email submissions to John Chen, jchen@pmbaonline.org, or fax to Johns attention at 703-506-3266.For more information on both scholarships, visit the PMBA Annual Conference Registration page.